What are members and friends saying? "London Tea Club knows there’s nothing worse than splurging on an overpriced box of teabags before finding out it actually tastes like drain water. Hence, its clever concept is to deliver samples of new and different loose-leaf teas to your door each month. Kettle. On." 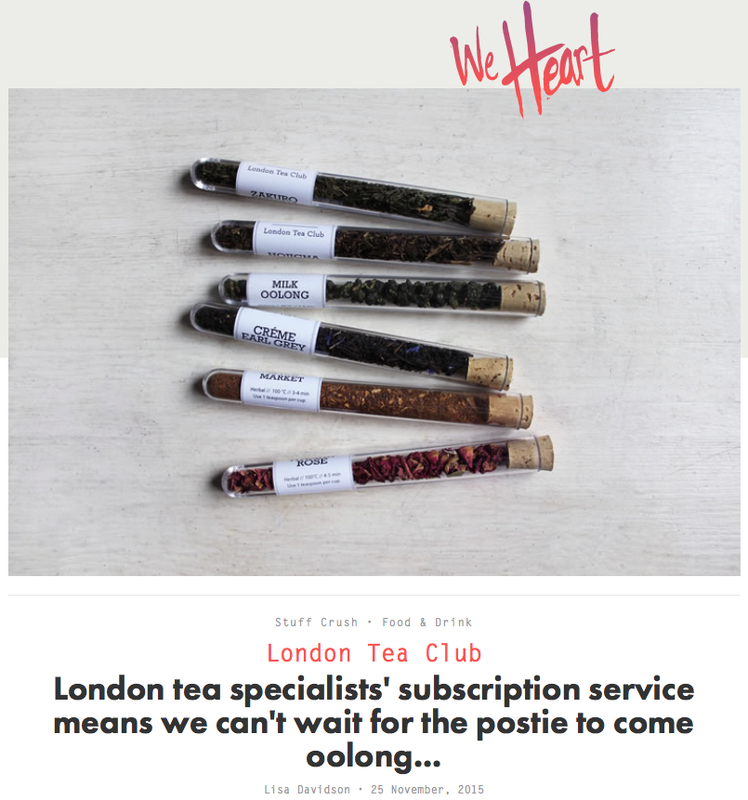 "If you're a tea drinker who wants to get out of the comfort zone and explore the delicious world of rare and exotic loose leaf teas, you should subscribe to London Tea Club already!" "Addicts can now expand their tasting horizons with either Eteaket or the London Tea Club, both of which offer by-the-bag or loose leaf options in a variety of herbal, black, white and green teas." "A subscription of loose-leaf tea ensures you never need endure a cup of iffy char again. This monthly delivery comes in little test tubes and the three individual variants can be matched to personal flavour preferences." "Each month will bring three new teas for a more interesting cuppa. From the traditional to the experimental, all are delivered in rather lovely little test tube-style packaging, complete with tasting tips and notes." Customer services is excellent and so is the tea selection. Read "Cecelia's Guide to Loose Leaf Tea" over on Sustain the Glow!